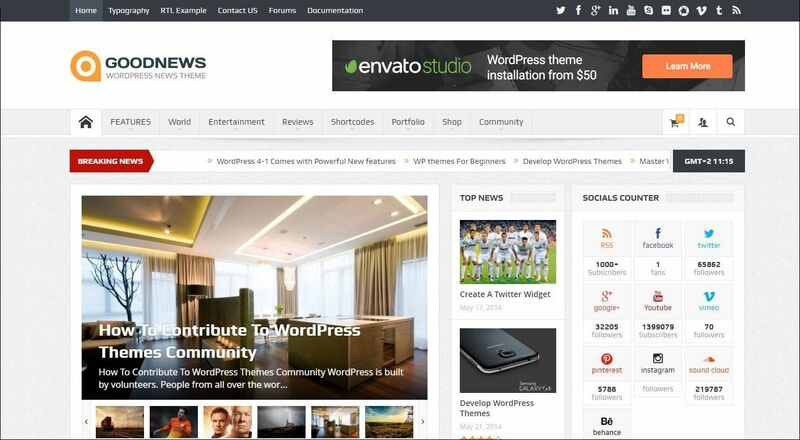 Are you looking for the best News & Editorial WordPress themes? 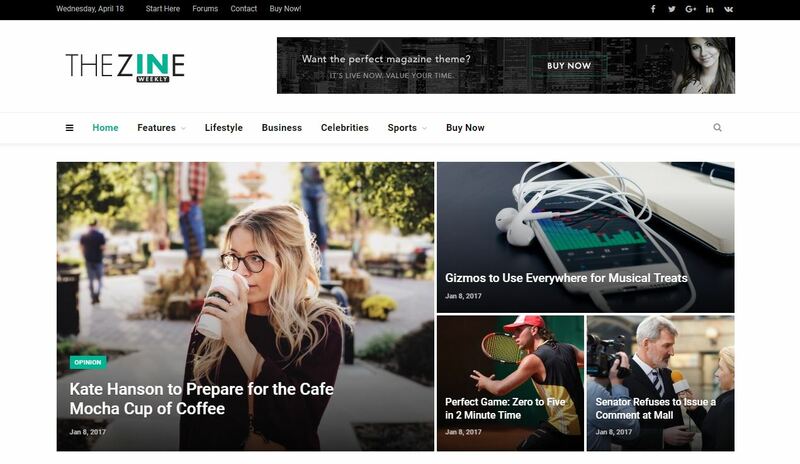 In this article, we have hand-picked some of the best WordPress Newspaper & Magazine themes that you can try. 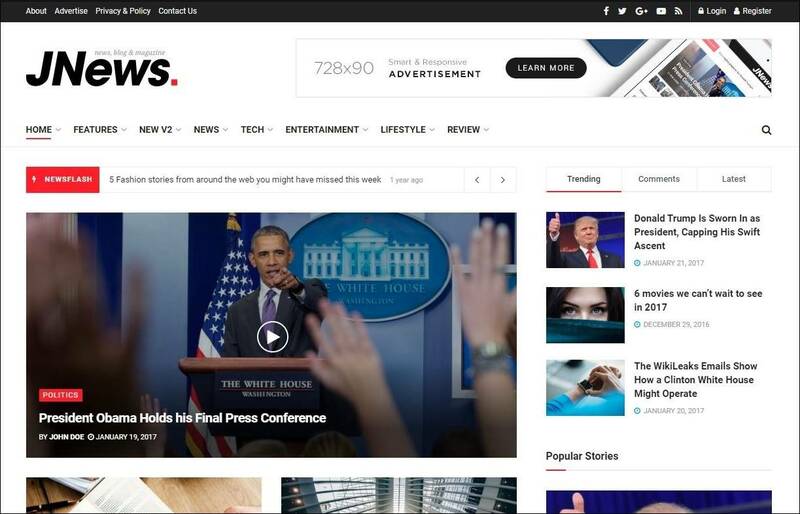 A collection of the best WordPress News themes for news sites, blogs, portals and other news-oriented websites. 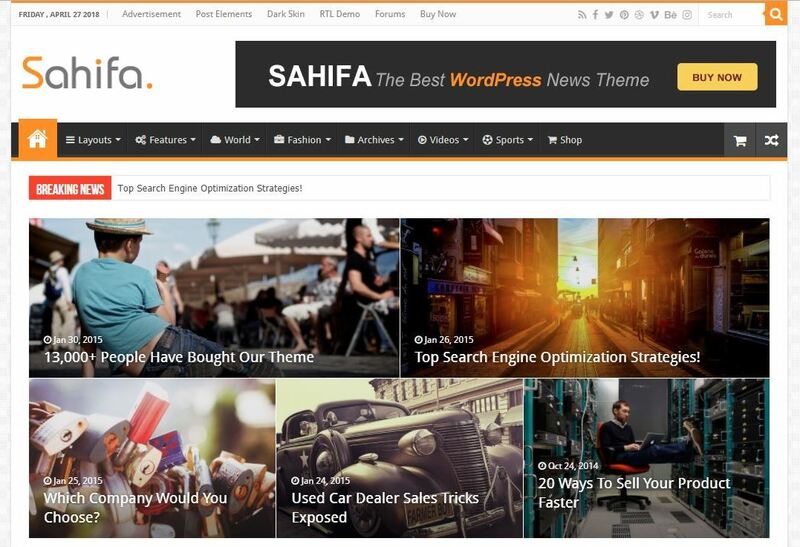 Sahifa News is a clean, modern, user friendly, fast-loading, customizable, flexible, functional and fully responsive WordPress theme. Suitable for News, Magazine, Newspaper, and Blog websites. Multi-Concept Blog/Magazine/News AMP WordPress theme. 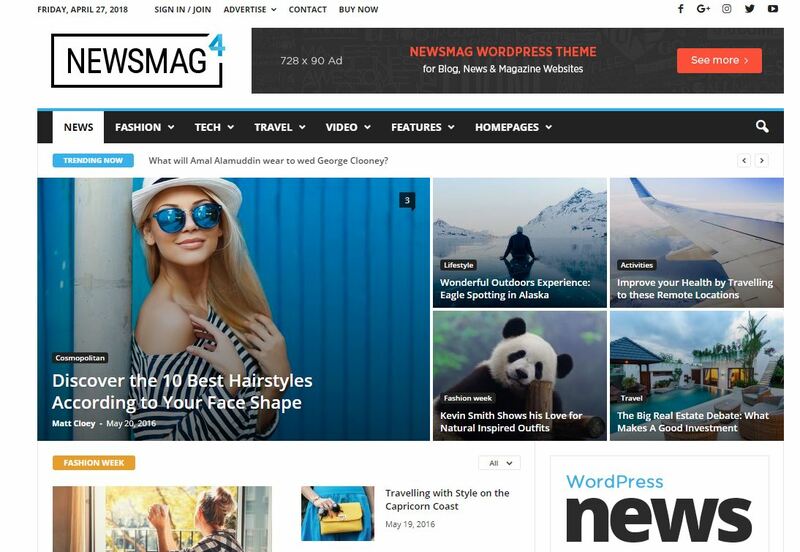 SmartMag is a modern, clean, responsive and retina-ready WordPress theme suitable for magazines, newspapers, review sites, or blogs. 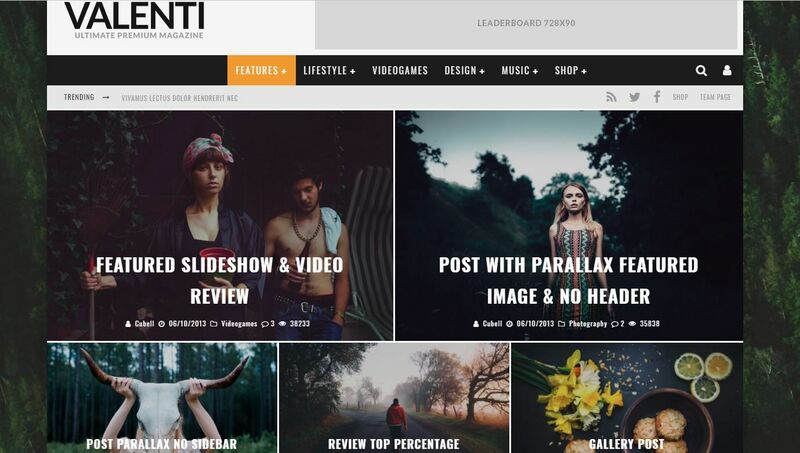 Valenti is a cutting-edge, feature-rich WordPress premium HD (retina-ready) review newspaper theme that is fully-responsive. It comes with WooCommerce, bbPress and BuddyPress integration. 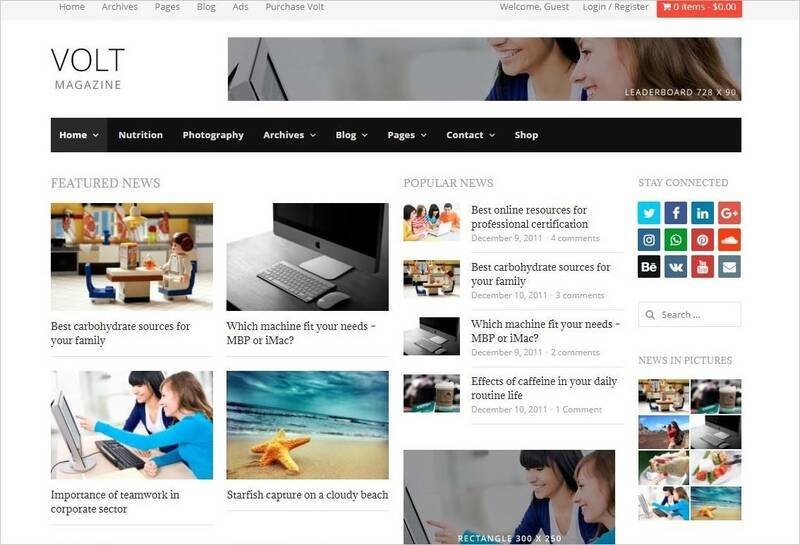 Publisher is the useful and powerful WordPress Newspaper, Magazine and Blog theme. It also includes advanced Ads Management system that enables you to add Adsense Ads, Google DFP Ads, HTML and Image ads easily with 100+ ad location. 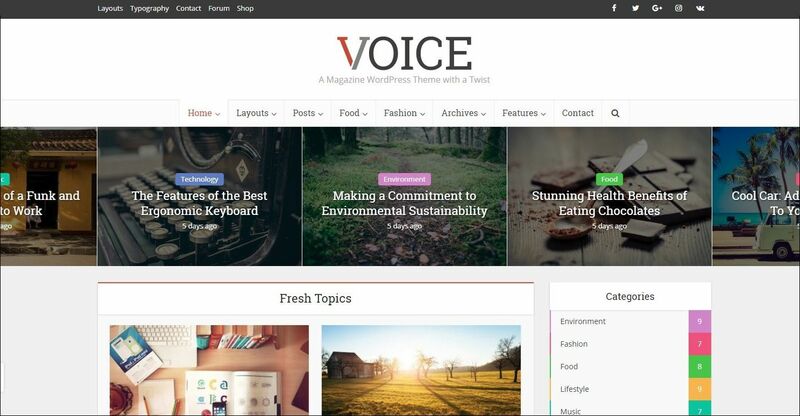 Voice is a responsive WordPress magazine/blog theme also suitable for news/editorial websites. 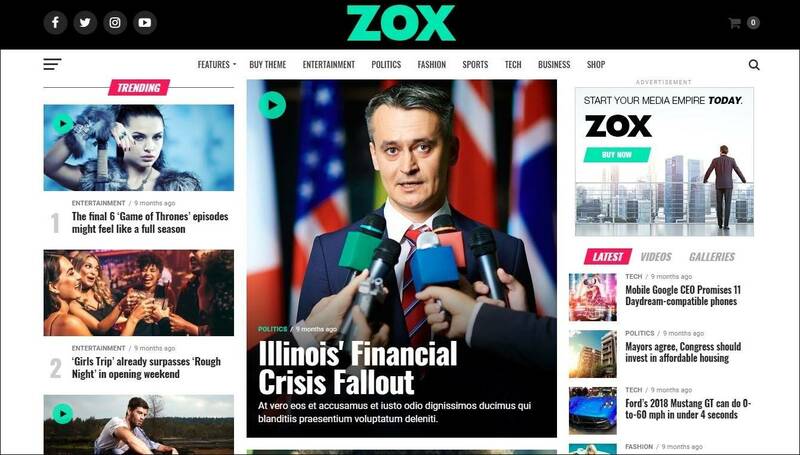 Flex Mag is the perfect combination of power and simplicity in a WordPress News and Magazine theme. It comes with a custom Fly-Out Navigation, custom scoreboard, auto-load posts, 4 different pre-set skins, 9 different Featured Posts options, 8 different article templates, 800+ Google Fonts, and so much more. 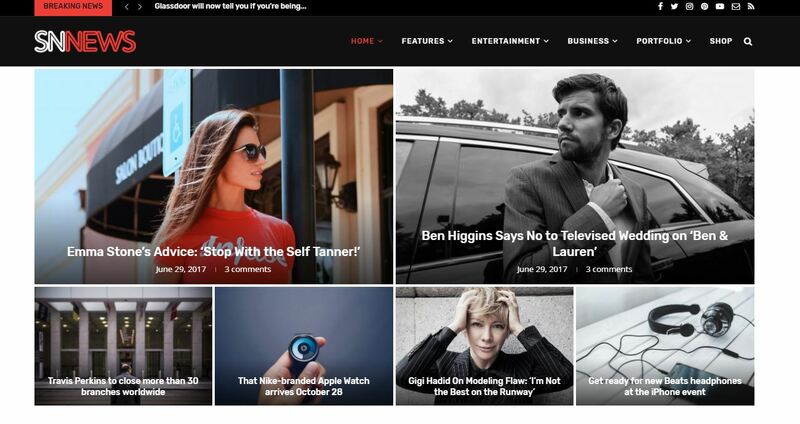 Multinews is News/Magazine premium WordPress theme with unique features such as Flipping magazine, geodirectory, Ubermenu, popular plugins integrated, etc. 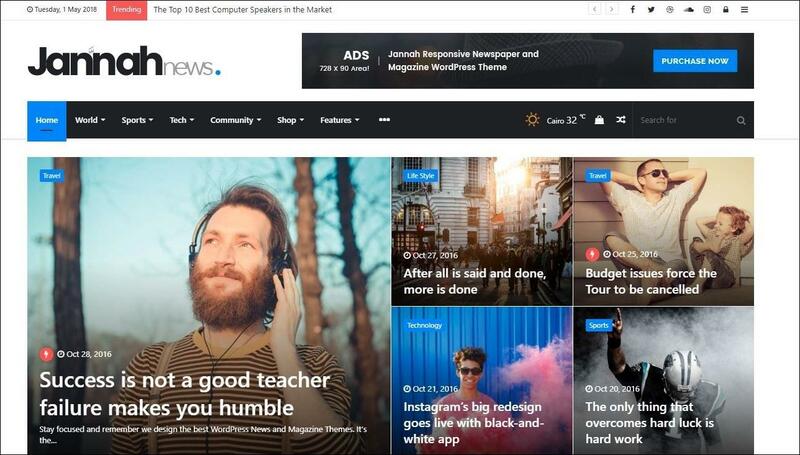 Jannah has Content Marketing covered with fresh responsive designs, amazing new features, complete 1-click website demos and lifetime free updates. 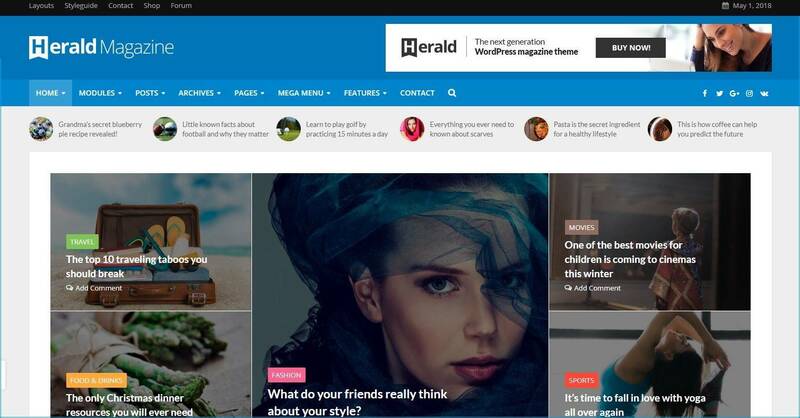 Herald is a modern responsive WordPress theme carefully designed and developed for news portals and magazine websites. 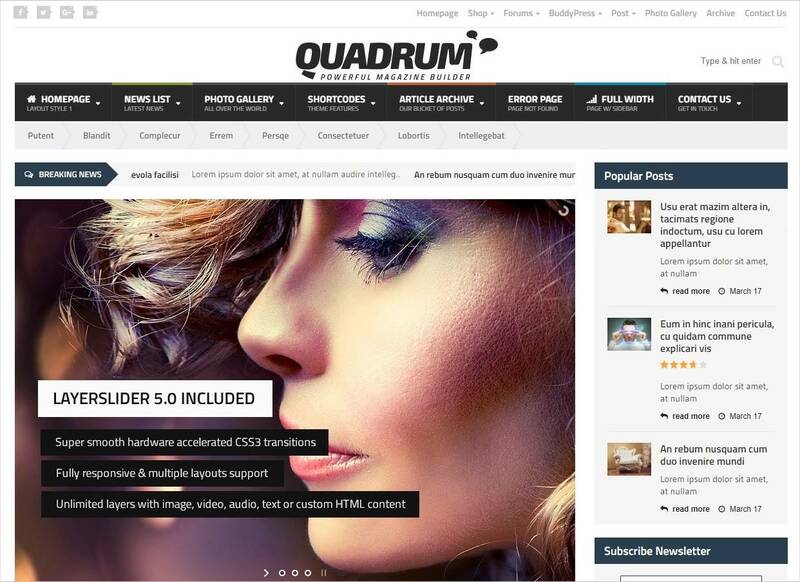 A multipurpose magazine WordPress theme for online newspaper, news, blog and editorial ventures. 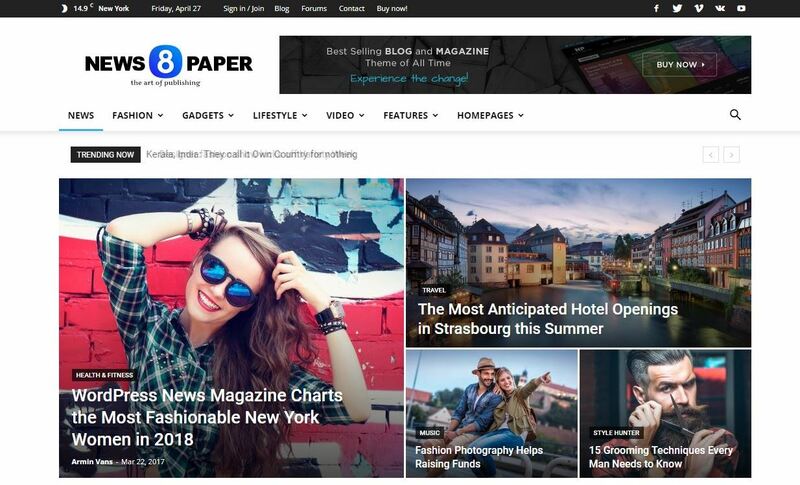 Premium responsive magazine and newspaper theme for WordPress. Gridlove is a creative grid style WordPress theme with a focus on news and magazine websites. Provides 120+ homepages perfect for your News, Magazine, Blog, Editorial and for all kind of publishing websites. It has various social sharing options, trending posts, maximum ad exposure, SEO optimization, and attractive design. Weekly News is a professional responsive WordPress template suitable for newspaper publishers, magazine or advanced blogs. 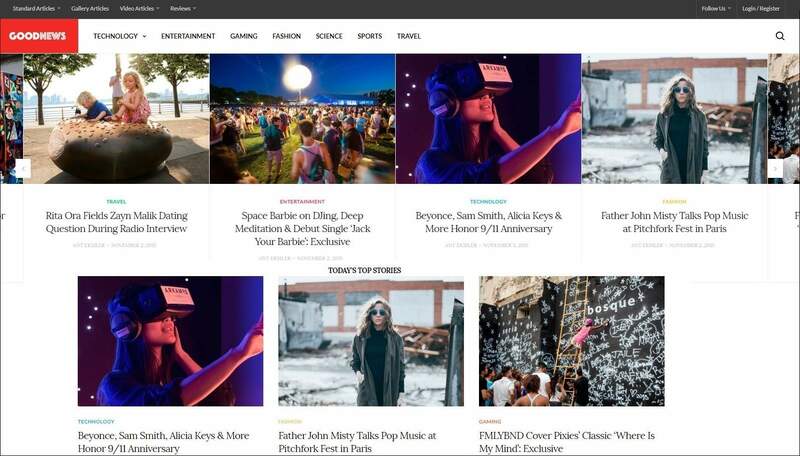 Volt is a responsive magazine WordPress theme designed for online newspaper, magazines and editorial ventures. 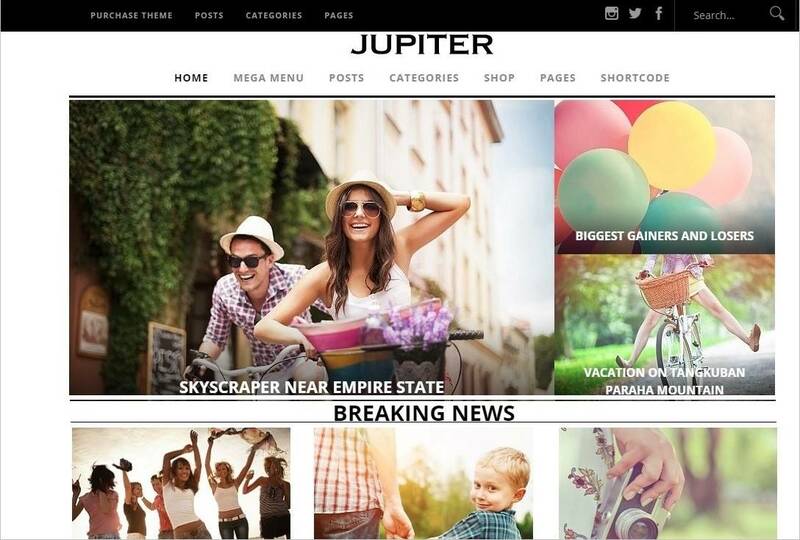 The theme is designed with flexible layout pattern and good space for advertisements. 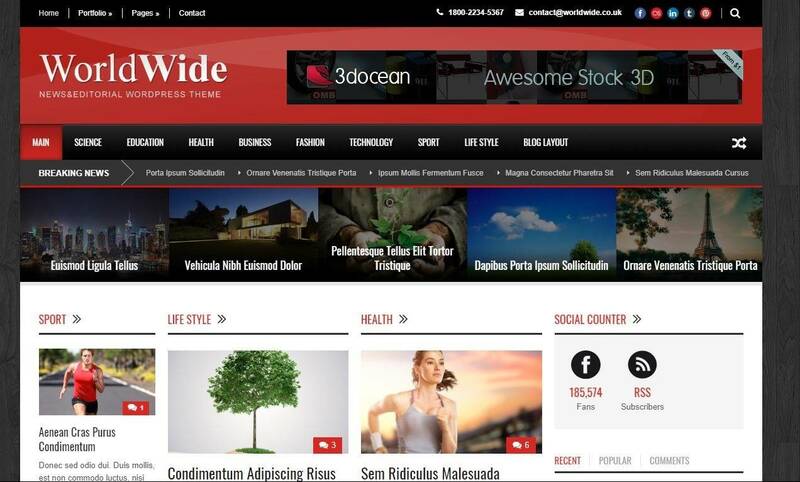 World Wide is a premium News and Editorial WordPress theme. 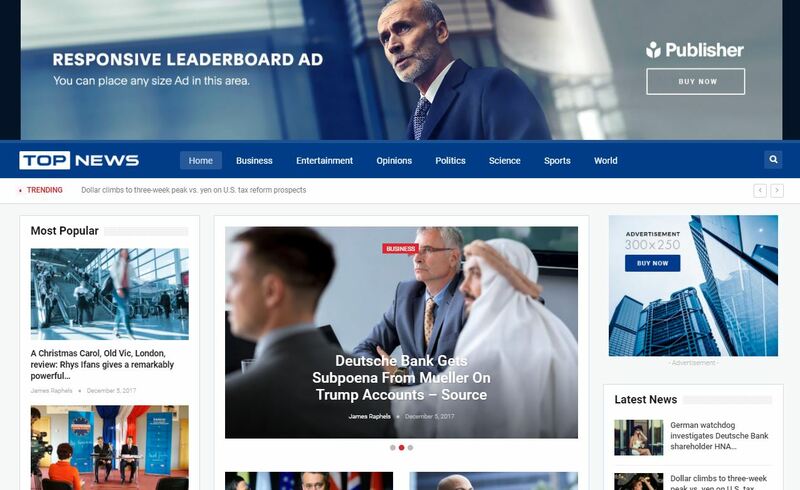 Professional WordPress News and Magazine theme. 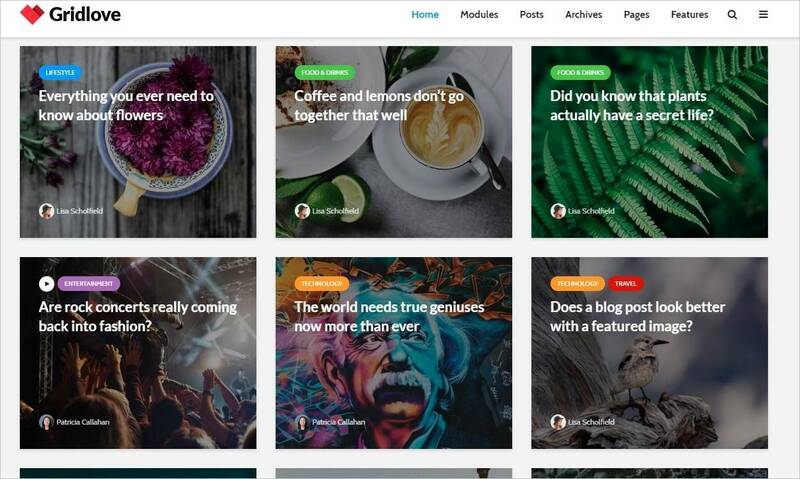 Comes with 8 article layouts, 4 Featured Posts layouts, parallax leaderboard ad, Theia Post Slider, Theia Sticky Sidebar, Reviewer Plugin, Woocommerce-ready, and so much more. 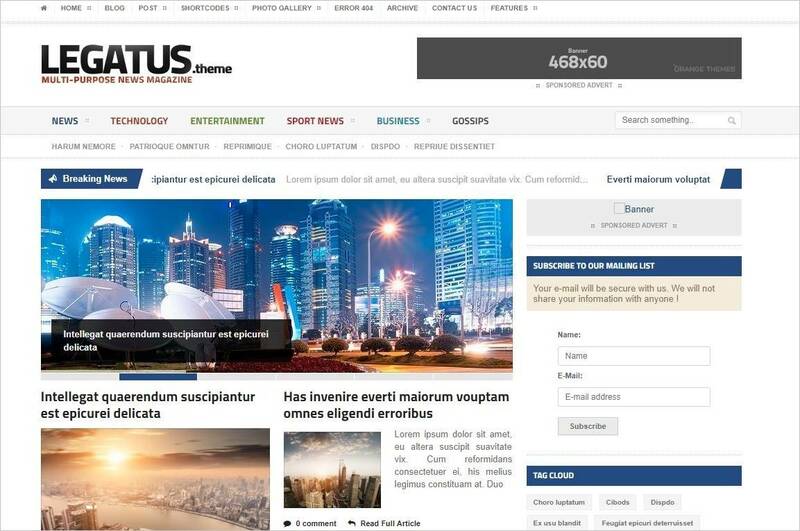 Legatus is a clean, responsive and retina-ready WordPress theme suitable for blogs, magazines, publishing or review sites. 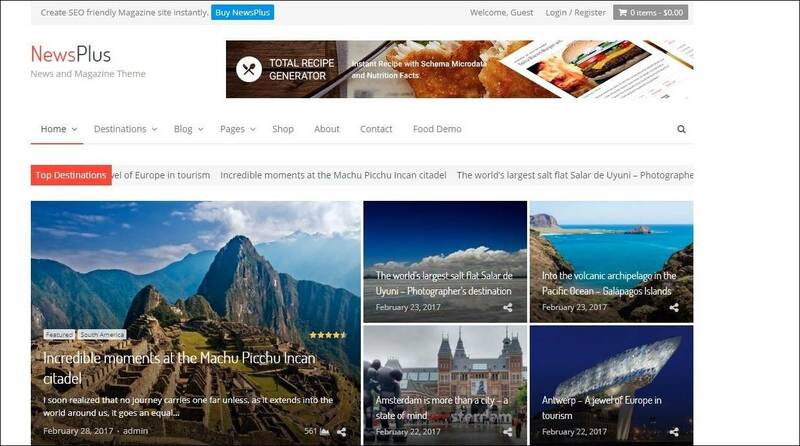 Top News is the complete WordPress theme for a news or magazine site with the focus of attracting and keeping visitors on their site. 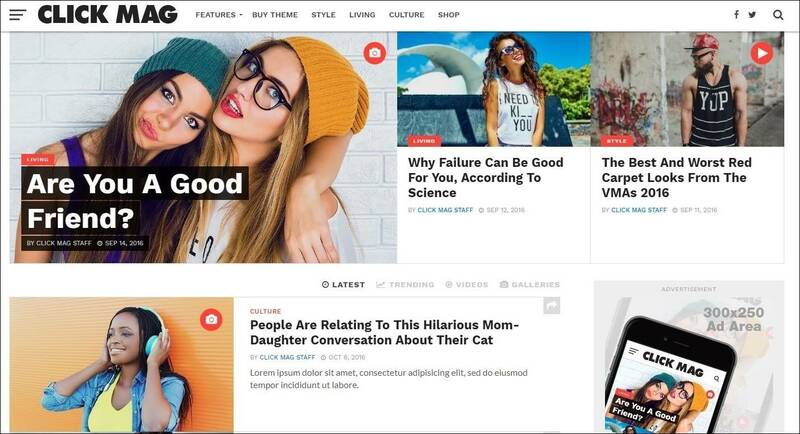 Good News is the ultimate Multi Niche Blog / Magazine WordPress theme also suitable to build a stunning and flexible blog, news, newspaper, magazine, publishing or review site. 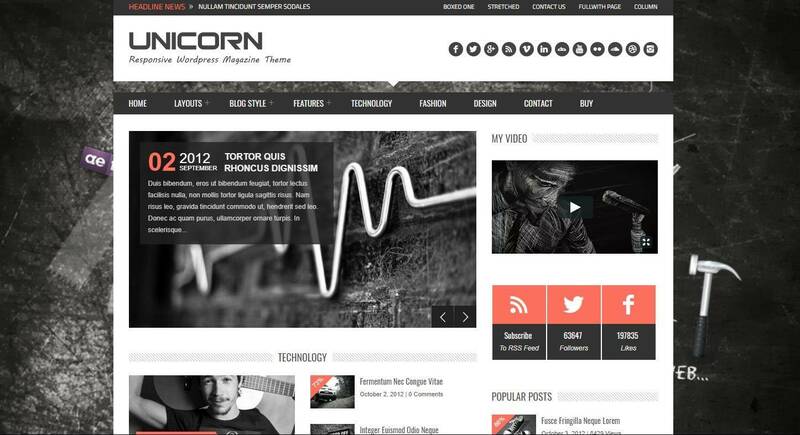 Unicorn is a fresh, clean, modern magazine and news WordPress theme. Clean, Minimalist Design can be used for any blog, newspaper, editorial and magazine website. 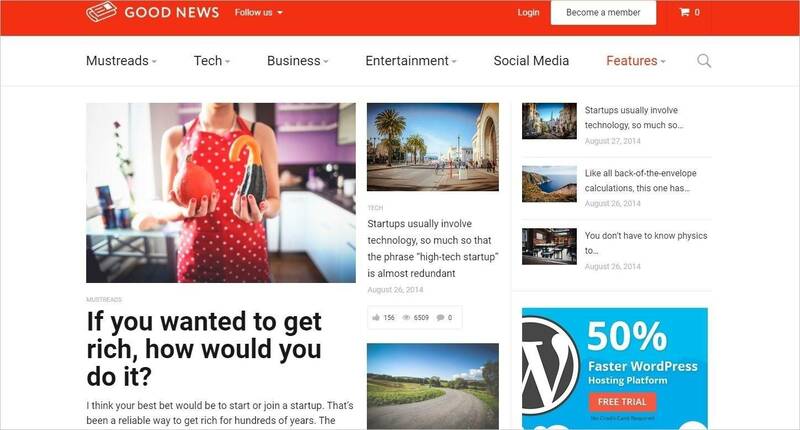 Grand News provides responsive clean and minimal WordPress theme for news, editorial and blogger. 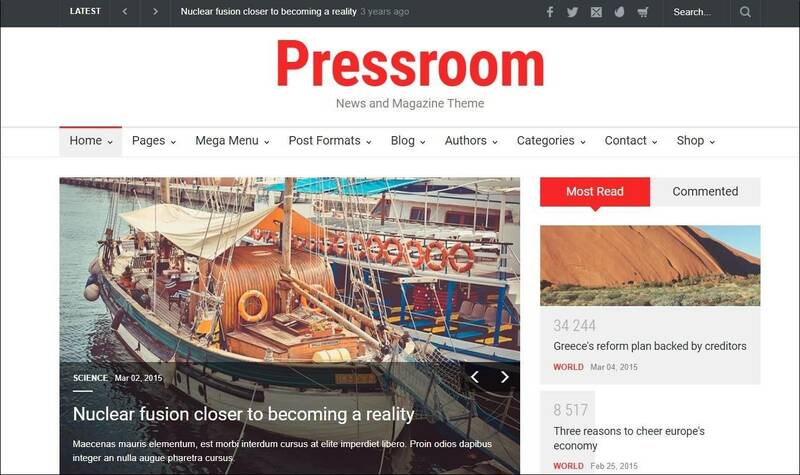 Pressroom is a highly configurable and responsive WordPress theme best suitable for magazine, newspaper, news, blog, publishing or review site. Multipurpose News and Magazine WordPress theme. Retina Responsive Magazine/Blog/Editorial WordPress theme. Clean, modern, and crystal clear graphics. What is your favorite theme? Please share, with reasons for the selection, in the comments below.